The developer is behind the popular Dr. Panda mobile game franchise, which recently passed 40 million installs. TribePlay, developer of paid educational apps for children, and creator of the Dr. Panda series of mobile games, has announced it has rebranded as Dr. Panda. The Dr. Panda franchise has surpassed 40 million downloads, as children follow Dr. Panda through adventures in everyday life, from growing a vegetable garden to working in a restaurant. Our new name better reflects the personality of the Dr. Panda franchise and our commitment to growing the IP on a global stage. The Dr. Panda games have helped millions of young children throughout the world learn about their environment in a deep and meaningful way, enabling them to feel more comfortable when they encounter new situations in real life. Our goal has always been to design games that provide educational value as well as entertainment value, and our success to date is a testament to the strength of that approach. 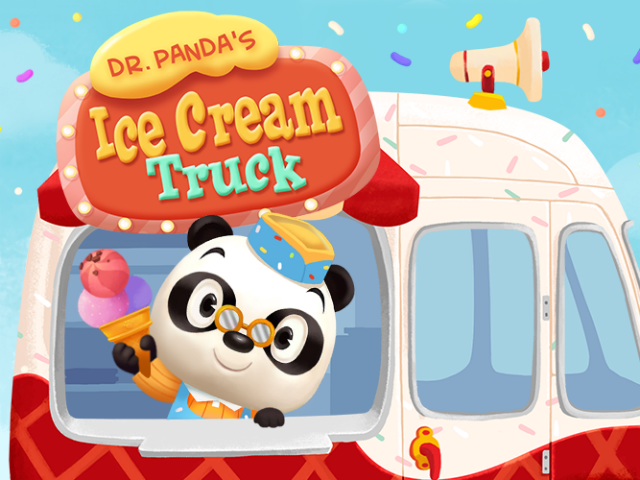 The latest title in the franchise, Dr. Panda’s Ice Cream Truck, launched last week on the iTunes App Store, Google Play and the Amazon Appstore for $0.99, and allows players to make their own ice cream, mixing in different flavors, including cookies, fruits and nuts. Players can create sundaes as creative as they are, using hundreds of combinations of base ice cream flavors, mix-ins and syrups. Dr. Panda received $750,000 in seed funding in 2012, and quickly became profitable, growing to a team of 45 people. Going forward, Dr. Panda hopes to capitalize on the franchise’s popularity even more by expanding into toys and animation. More information on the Dr. Panda franchise of games is available here.